This Easy Meatloaf is a favorite at my house. It’s the recipe we always use when we want a meatloaf that’s tender, super moist and utterly delicious! 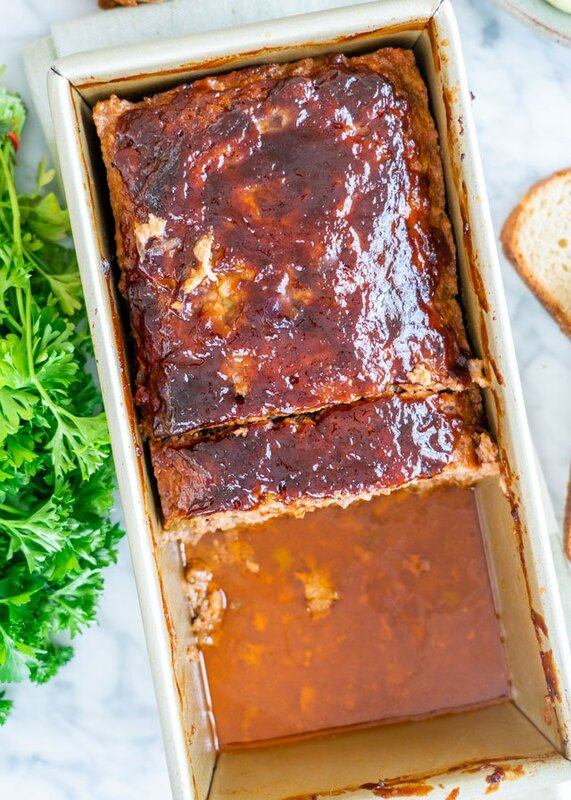 This easy meatloaf recipe here is the only one you will ever need. Meatloaf is always a favorite in most households because it’s great comfort food plus it’s economical. Truly a classic family favorite! It’s what Sunday suppers are all about! 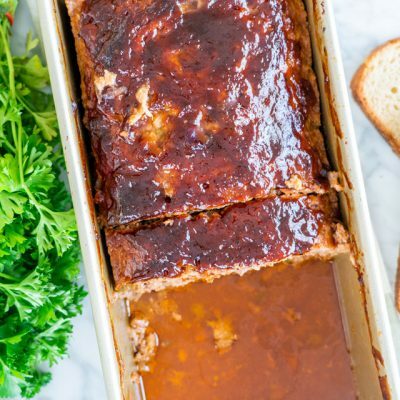 This meatloaf recipe is super simple to make and just absolutely fabulous. The best, most tender and moist meatloaf recipe you’ll ever need. Serve it with a side of mashed potatoes and gravy and you’ve got yourself a wonderful comfort meal whether it’s for a cold winter night or a warm summer day. We all go crazy over it, and it’s the one of the only leftover foods we love. Vegetables – I used onion and bell peppers. I find it easy to shred the onion using a box grater. As far as other veggies, meatloaves are great to hide veggies in. Try other veggies, like mushrooms, zucchini, carrots, etc. Meat – I usually love to combine pork and beef together for great flavors, but if you’re looking for healthier options try ground chicken or turkey. However, I strongly recommend using pork in a meatloaf if looking for a juicy meatloaf. 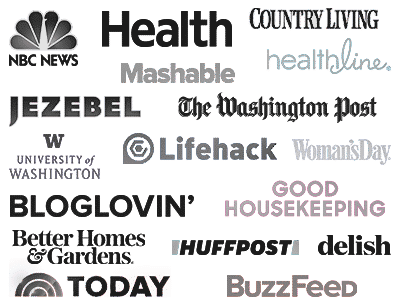 Breadcrumbs – I love using Panko breadcrumbs. You can substitute the breadcrumbs with a couple slices of bread. Milk – to add a little moisture to the meatloaf. If using bread instead of breadcrumbs, make sure to soak the bread in the milk. Egg – you’ll need at least an egg to bind all the meat and everything together. Worcestershire sauce – a must for that savory and sweet flavor. Barbecue sauce – use your favorite here. Making meatloaf is one of the first things I learned to cook when I was just a kid. So that shows you how simple it is to make. Preheat your oven to 350 F degrees and spray a loaf pan generously with cooking spray. Grate the onion with a box grater in a large bowl. Add the breadcrumbs and the milk and stir it together. Add the rest of the ingredients but only add about 3/4 cup of the barbecue sauce to the meat mixture. Mix the entire meat mixture really well using your hands or a spoon. 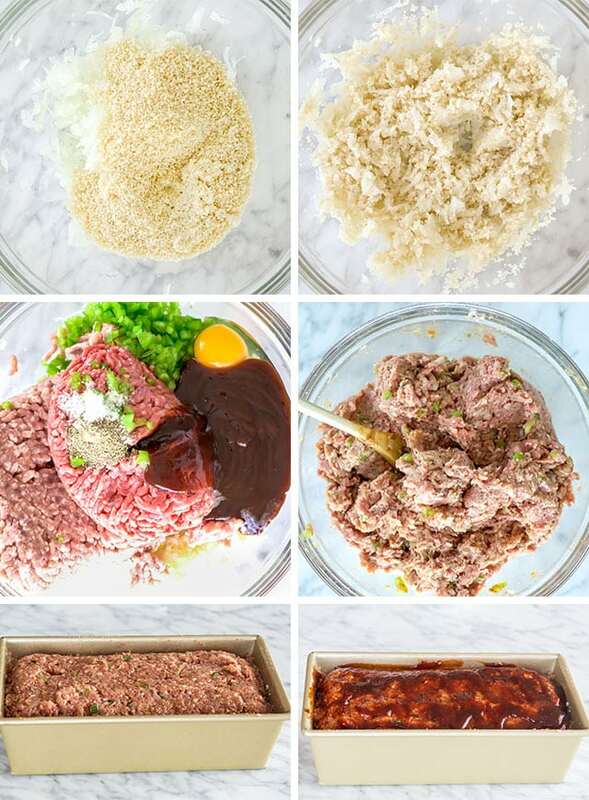 Add the meat mixture to the prepared loaf pan and shape it into a loaf. 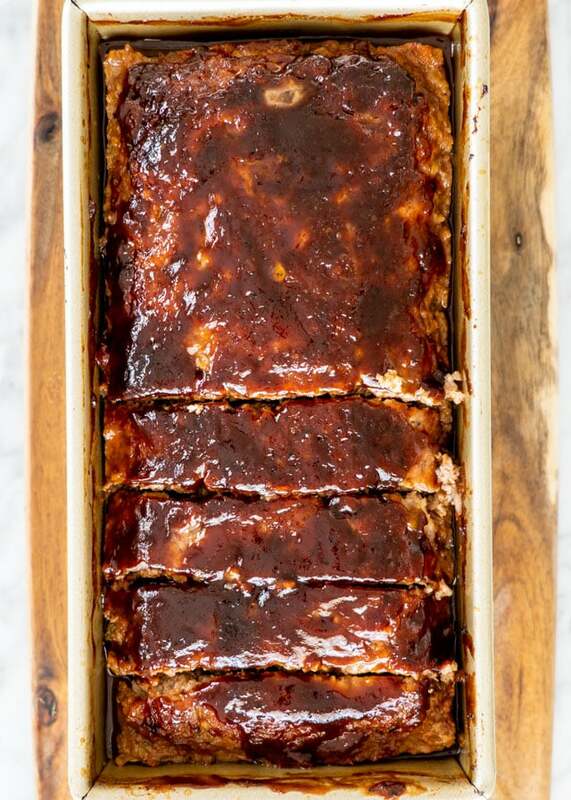 Brush with the remaining barbecue sauce over the top of the meatloaf. The best temperature to cook the meatloaf at is 350 F degrees and it requires about 1 hour, depending on size and shape. 60 to 80 minutes should be more than enough for a 2 pound meatloaf. Best way to tell when a meatloaf is done is to use an instant-read thermometer. Insert the thermometer into the meatloaf and when it reaches 160 degrees F, it’s done. Let it sit for 10 minutes before slicing into it. Meatloaf is something we all grew up eating whether it was for Sunday supper or an easy meal your mom made during the week. I personally love it with mashed potatoes or even oven roasted potatoes and veggies. For a healthier version try serving it on a bed of mashed cauliflower. I sometimes even make meatloaf sandwiches, mind blown! What’s not to love with this classic, it truly is a great meal for all the meat lovers out there. There are also many different variations of this classic, probably every culture has their own twist to it. 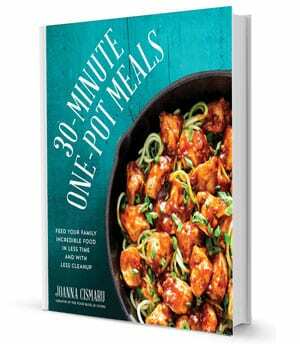 It’s economical, it’s easy to make and it’s always a crowd pleaser. Don’t be afraid to mix your meat . Never go all beef, add that ground pork, you’ll end up with a much better tasting meatloaf. Throw in some ground turkey for a leaner version. Soak in your breadcrumbs with the milk, this will ensure it will hold its shape while still staying moist. Don’t be afraid in to add more veggies as well, such as peppers and onions, but sometimes mix it in a bit with shredded zucchini, carrots or sometimes even spinach. Great way to hide those veggies and keep your it moist. Always always top it with that extra sauce, whether it’s your favorite barbecue sauce or just ketchup, it will add acidity and cut the fat a bit. I wasn’t gonna try this because, I didn’t think the super market had ground pork. Well, they did and this is my new FAVORITE Meatloaf recipe, and it’s easy to make. Super moist and tasty. The sausage does it ! Jo is right ! Thank You ! Store leftover meatloaf in an airtight container in the refrigerator for 3 to 4 days. Yes! Meatloaf freezes extremely well. The great thing is that you can freeze it before or after cooking. To freeze it before, place the meatloaf in a loaf pan and wrap it tightly with plastic wrap, then in foil and freeze. Thaw it out in the refrigerator for about 18 hours before placing it in the oven to bake. To freeze it after cooking, allow it to cool completely. You can either freeze it in individual slices, wrapped up tightly in plastic wrap or wrap up the whole loaf tightly in plastic wrap. Place the wrapped up slices or loaf into a large freezer bag and freeze for up to 3 months. To freeze individual slices, reheat them in the microwave oven. You can also place the frozen loaf on a baking sheet lined with aluminum foil or parchment paper in the oven at 350 F degrees until heated through. 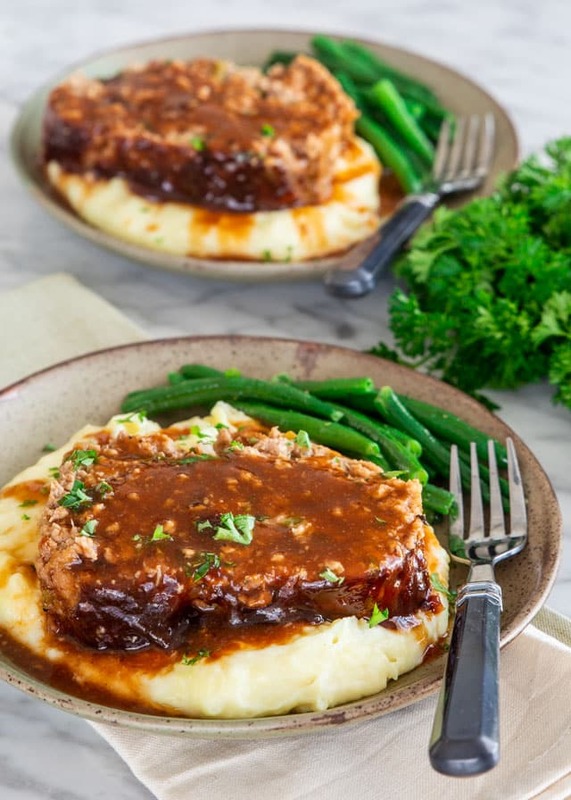 This Easy Meatloaf is a favorite at my house. It's the recipe we always use when we want a meatloaf that's tender, super moist and utterly delicious! Preheat oven to 350 F degrees. Spray a loaf pan with cooking spray; set aside. Grate the onion (if not using chopped) in a large bowl. Add the breadcrumbs and the milk and stir it together. Add the rest of the ingredients but only add about 3/4 cup of the barbecue sauce to the meat mixture. Mix the entire meat mixture really well using your hands or a spoon. Bake for 60 to 80 minutes or until done. Best way to tell when a meatloaf is done is to use an instant-read thermometer. Insert the thermometer into the meatloaf and when it reaches 160 degrees F, it's done. Note: Video is missing Worcestershire sauce, please add that to the recipe. 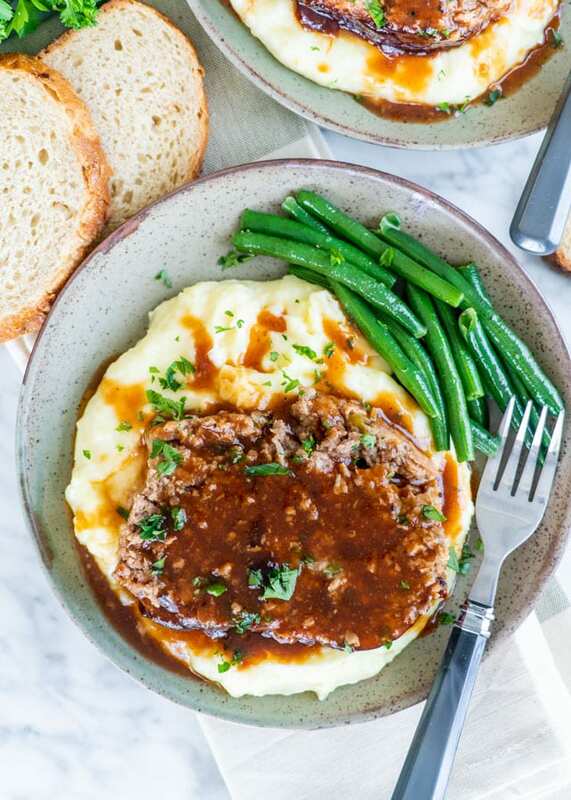 To get that gravy that you can see in the video that I'm drizzling over the meatloaf, all I did was mix the pan juices with some more BBQ sauce and it's to die for! Tip: Place the loaf pan on a baking sheet as you bake the meatloaf so as not to get your oven dirty. Serve this over creamy mashed potatoes. Nutrition: Nutritional information assumes 8 servings for the meatloaf. Please keep in mind that nutritional information is a rough estimate and can vary greatly based on products used. Originally shared Jan 2014, updated with new pictures and video. One of the best meatloaf recipe I have made. Raining now 48*F on Long Island ! A GREAT NIGHT for Jo’s meat Loaf ! It’s REALLY GOOD JO ! I enjoy it A LOT ! **Nor’Easter blowing across Long Island right now, powerful, veering winds, spitting cold rain. A “PERFECT NIGHT” for “JO’s EASY MEAT LOAF” recipe ! ** Nor’Easter – A storm that comes in from the NORTH EAST direction towards Long Island (over the Atlantic ocean). They get powerful cause they gain energy (moisture from being above the ocean). This “Moisture is in NO WAY compatible to the amount of “MOISTURE” that you’ll find in “Jo’s Easy meat Loaf” recipe ! It’s a “HIT” JO ! I e-mailed your recipe to a co- worker, saw it printed and pinned on the bullet board at work for all to see ! MEN usually don’t do that ! Transylvania “Vlad” Meat Loaf is the “NEW” FAV at OUR house ! I was gonna skip the “Ground Pork” but, I saw the foot note that you added (**HINTS) that said, “Don’t be afraid to add the ground pork, it makes the difference in meat Loaf being tender and juicy” ! WOW, you were so right ! (cause I was gonna skip it but, I saw the ground pork at the supermarket and grabbed it). Yay! Love hearing this, so glad you liked it! I wasn’t gonna try this because, I didn’t think the super market had ground sausage. Well, they did and this is my new FAVORITE Meatloaf recipe, and it’s easy to make. Super moist and tasty. The sausage does it ! Jo is right ! Moistest meat loaf I’ve ever made. A recipe I will repeat over and over. Love to hear that, glad you liked it!